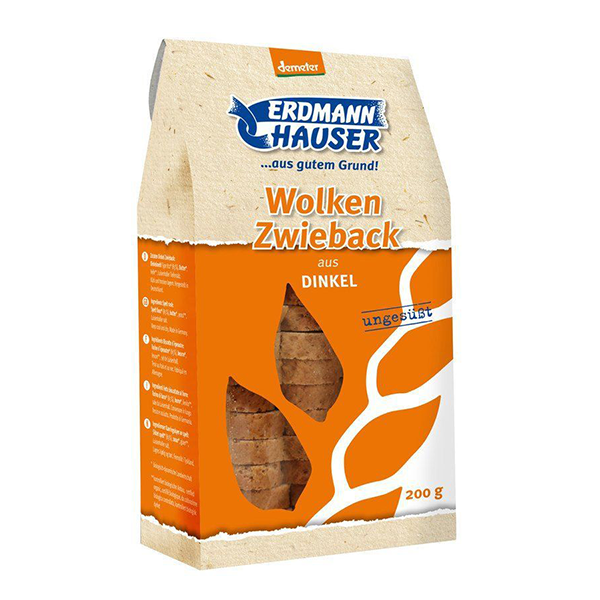 ErdmannHauser’s Spelt Cloud Rusks are a sugar free, demeter organic spelt rusk perfect during the second stage of weaning and beyond. 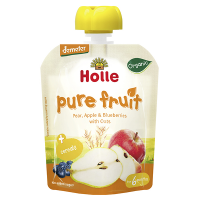 They are ideal if your baby is teething and needs something wholesome to chew on. Alternatively, for a quick snack, pour your baby's milk, herbal tea or freshly pressed juice (diluted with water if you prefer) onto a couple of rusks, leave to soak and then mash with a fork. Please do not leave your baby unattended with any food. 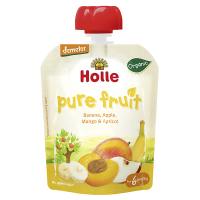 For older children and adults: add jam, honey or a savoury spread and enjoy with a cup of tea or coffee. 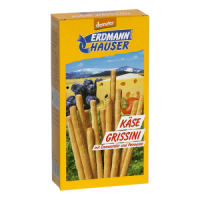 Crafted by hand plus simple, wholesome ingredients, makes ErdmannHauser’s Rusks something special. The spelt grain is grown in southern Germany on demeter farms. The grain is milled gently to flour at ErdmannHAUSER's mill, their bakers then weigh the few ingredients by hand and process them into a dough. The baking loaves are placed in open box molds so that the dough can develop fully. This creates the special cloud shape. After the first baking, the bread is cut into slices, placed by hand on the roasting plates and baked until crispy in the rack oven. No added sugar. Contains gluten. From about 6-8 months. Suitable for vegetarians. SPELT flour 85%**, BUTTER**, yeast*, sea salt. I bought these rusks because they ticked all the boxes: unsweetened, wholemeal spelt product. My teething 8 month old loves them and, although my 3 year old is allowed other (healthy) biscuits he keeps stealing these from his brother! I am glad I got two boxes and will be back for more. 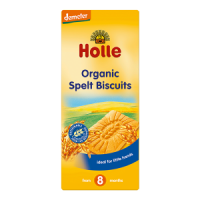 They are firmer and denser than the Holle rusks also sold by Ulula, which is what both my children prefer. I am always happy to offer this treat. Yummy – liked by all members of the family. They are tasty simply on their own which I think accounts for our 9-month old seeming to enjoy them a bit more than the other spelt rusks sold on this website. This rusk is a bit harder than the one from Holle, which is particularly useful for teething children who need to chew on something. But my toddler, who now has all his teeth, absolutely loves it and has a slice of it almost every day. Very nutritious and good quality.